You’re walking down the hallway at work from one meeting to the next. A colleague or report stops you en route, asks for a minute and presents an important problem. It’s easy to respond with “let me think about it” and duck into the meeting. In that half-second, all the responsibility of the decision has been transferred. Unlike a minute ago, you have the monkey on your back. The challenge with these situations is two-fold. First, you’re unlikely to have enough information to make a decision. Second, no time has been allocated to solving the problem. Multiply this event by 3 or 4 times per day, every working day, and it’s easy to see why these hallway conversations create massive bottlenecks in organizations. Everyone is talking but no one is deciding or acting. Organizational inertia sets in and the company’s rate of execution grinds to a halt. William Oncken, Jr, who founded a management coaching company, developed a strategy to help managers handle monkeys. Oncken reasoned that the first two options are the worst because they encourage monkeys to propagate through hallway conversations like the one above. Instead, managers should trust their reports to pursue options 3 through 5. Each of these three options requires a follow up meeting and a schedule of updates that should allocate enough time to discuss how best to deal with the monkey. Ultimately, enforcing this practice builds trust among the team, empowers team members to evaluate and resolve problems, develops employees’ skills, all while increasing a manager’s effectiveness, a win-win outcome. 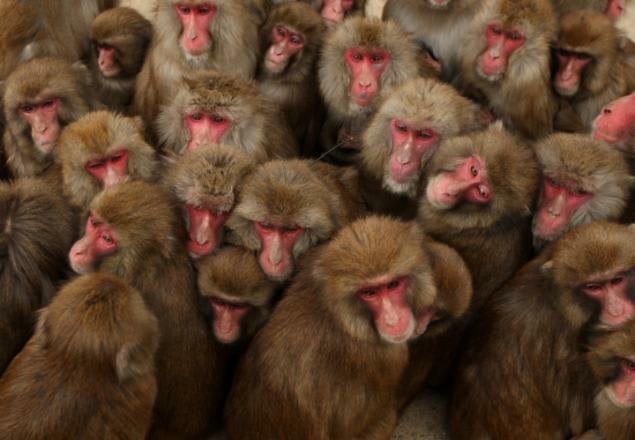 Oncken’s technique for managing monkeys ensures continuity in business processes, preventing managers from becoming bottlenecks and empowering reports to act quickly and effectively. It’s a good technique to maintain top execution speed.